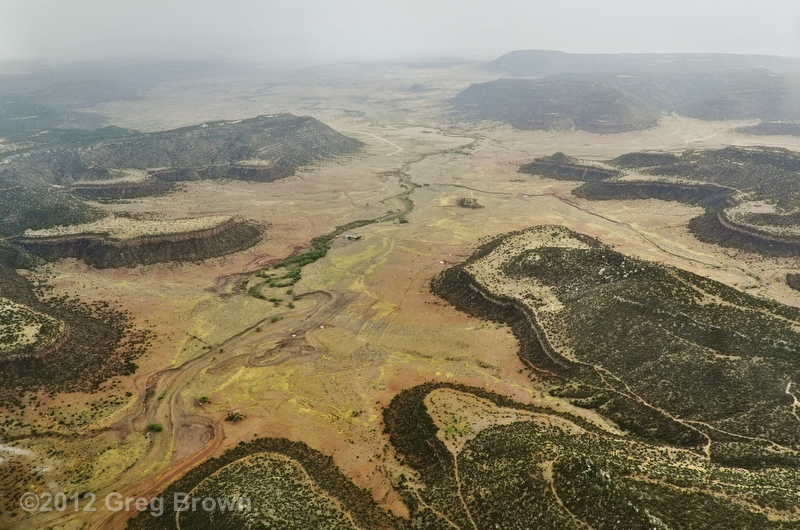 “New Mexico Rain” was photographed between Dalhart, Texas and Las Vegas, New Mexico, over the normally sun-baked high plains of northeastern New Mexico. On this particular morning, rain and mist coaxed rare warmth and color from what’s normally a parched buff landscape. Read the story in “Homeward Bound,” Greg’s January, 2010 Flying Carpet column.